Your Orleans and Jefferson Parish property tax bills are due at the end of the year. If you can’t afford them, you can appeal your assessment. Another option is to sell your property fast for cash. While Property Taxes Are a Necessary Evil Some Louisiana Homeowners Simply Cannot Afford to Pay Them. If you are having trouble paying your property taxes in Jefferson Parish and disagree with your assessment, you can file a protest with the Louisiana Tax Commission during the inspection period, weekdays from 8:30 a.m. to 4:30 p.m. through September 5. In Orleans Parish, property owners who disagreed with the Assessor’s Office about their tax burden had until August 15 to appeal it. Although Louisiana property owners can review their assessments at any time, legal challenges can only be filed during the inspection period. Any disagreements must be discussed with the assessor, and if a property owner decides to file an appeal, he or she must complete a form, attaching documentation to support their argument that the valuation is unfair or incorrect. If the dispute is still not resolved, property owners will be able to appeal to the Parish Council on September 21. If unsuccessful, they have the opportunity to file an appeal with the state Tax Commission. Once the tax rolls are finalized and approved by the Parish Council, the annual tax bills are mailed in late November or early December and are due on December 31. Tax Hike on the Horizon? Although voters in Jefferson Parish renewed a 6-mill drainage tax in December 2016, the Parish Council voted several months later to continue to collect the 2016 rate, or 4.6 mills. The higher rate would have collected $20.1 million annually, up from $15.6 million at the lower rate. Now that recent heavy rainfalls have caused several streets in the parish to flood, officials are considering whether to revisit the decision to keep the lower millage rate, since the projected higher revenue could be used on immediate drainage concerns. What If I Can’t Pay More Property Taxes? If a Louisiana property owner fails to pay property taxes, the parish tax collector will advertise the property in the parish’s local newspaper and sell it at a tax sale for a fixed price equal to the amount of taxes due plus interest and costs for the advertisement and the sale of the property, often for much less than the property is worth. 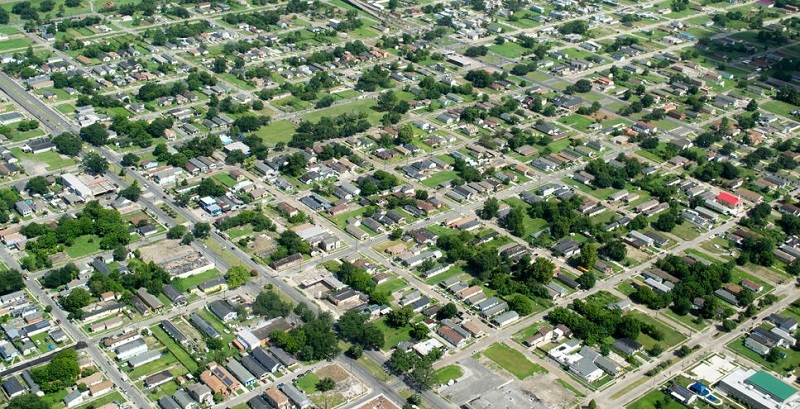 In Louisiana, a property owner has three years after the tax sale certificate is filed to redeem a property, but to get it back, they’ll have to pay the price the purchaser paid for the property at the tax sale, including costs, a 5 percent penalty (less if the purchaser bid the penalty rate down at the sale) plus 1 percent interest per month. If reclaiming your property isn’t feasible for you, there is one other option available: sell your home fast and for cash — tax debt and all. Visit Big Easy Buyers’ FAQ on selling your New Orleans home for cash. You’ll learn more about how selling your home affects your credit and how to avoid costly home repairs before unloading your property.